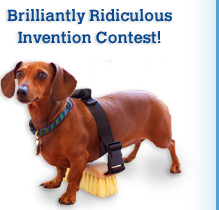 Scholastic's current writing contest challenged us to "Use your imagination or get inspired by reading The Klutz® Book of Brilliantly Ridiculous Inventions! Whatever you imagine—draw a picture of it, give it a name, and write a paragraph about what your invention does and how it will make the world a happier and better place." We rose to the challenge! We worked our way through the writing process to prepare our contest entries, beginning with a four square planner to help organize our ideas and prepare our rough drafts. We revised our writing to make it clearer or more interesting, and illustrated our final edited copies. We reviewed nouns and adjectives, discussed phrases, and identified figurative language in context. We continue to make excellent use of the technology available to us in the classroom, preparing our contest entries using Microsoft's Word. We wrote clearly, and made amazing choices with language, sentence structure, and subtle humor. Don’t you hate picking prickly pickles out of the jar for your nagging relatives? Well now the Need Bot 5000 does that for you. It does it all. This amazing device is a phone. It can tell you who’s calling. If it’s an annoying relative, like your cousins, it tells them you’re busy and to call later. It is programmed to cut your hair, PICK YOUR NOSE and washes your clothes so you don’t get yet another world-famous hygiene lecture from your nurse. This robot is red with a fire sticker on the side for boys, or for girls, pink with flowers. This robot can helps you do anything, like clean and fix your car. It’ll also grease your bike and fix the chains when you pedal too fast. It keeps you happy when you’re sad with its services. It helps to have this machine when you’re mad. The Need Bot says calming words to help gain your confidence back. Tissues are made in the robot's body so when you're sad call the Bot and you will have a friend with tissues. Look out; here it comes! It’s cool, it’s small, and it’s quick! Tired of that metal monster of a mower? Well you can stop worrying about it all with the new Mowing Bang! This wonderful contraption allows you to mow any lawn with a pull of a pin and a toss. The Mowing Bang is easy to use and doesn’t take long at all! This device comes in all sorts of colors and shapes. With the Mowing Bang, you don’t have to spend a scorching hot day mowing your lawn. Unlike a lawn mower, the Mowing Bang doesn’t take what seems like hours to get it started. One of the many things about the Mowing Bang is that you don’t have to buy fuel for it. By using the Mowing Bang, you don’t pollute the sky with all that exhaust a lawn mower makes. Have you ever injured your foot by getting it caught in the mower blades? Well, with the Mowing Bang, you can forget about that too! This invention is also animal safe, so no more angering a bee’s nest. So, what do you say? The Mowing Bang is cool, and fun to use. So, come on down to the nearest hardware store, buy a Mowing Bang, save some time, and never mow a lawn again! Who would want to walk your dog on a really cold day, when you can Sleep Away on Your Dog! What do you do when your mom wants you to walk your dog and you don’t want to? You get a bed that will fit on your dog’s back and you make it comfortable. You can put anything you want on it. You can even put a little snack holder on the side of your dog just in case you get hungry! When you sleep on your dog you get more sleep and your mom thinks you’re walking the dog! When you’re out sleeping on the dog and you wake up, you can go to your friends. This invention will make everyone happier than anything because you will get a lot of sleep. When you wake up you can look at the wonderful and fluffy clouds! When your mom thinks you’re walking your dog you are actually either talking to friends or you’re at your friend's house having a wonderful time! It would help you get better sleep so that you’re not tired in school and you can be more active. You really don’t need a bed in your room to snooze! You can sleep away on your dog! So when you wake up you can actually feel like playing baseball or any other sport! This invention will make everyone, even parents, happy! The most brilliantly ridiculous invention ever is the extraordinary Glow in The Dark Contacts. My invention is a pair of contacts that literally light up in the dark! The contacts let off a frightening dark green glow. The contacts can also be blue, red, and orange, though of course for an extra fee! 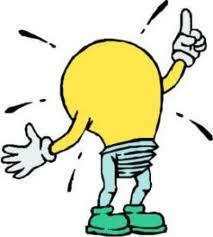 My invention will make the world a happier place because you always have a flashlight on you. On your eyes! No more carrying around heavy flashlights. No more dull yellow rays. My invention will make the world a better place. You can finally be a creature of the night, lurk around with all the albinos, befriend a sly owl or a sneaky fox, party all night long, or be a party ANIMAL. They’re the new night vision goggles. You can see anywhere. My invention will change the world. Can you swim under water without holding your breath? Well now you can with my new brilliantly ridiculous invention Attachable Gills. It looks like a piece of rubber with five lines going through it vertically. It makes breathing under water simple. You can call us on the phone or visit us at www.AttachableGills.com. It can be used in ether salt water or fresh-water. What my invention does is it provides you with gills so you can swim under water without holding your breath and having the struggle of snorkels. It would help at a swim meet. It is also fun swimming in the pool with it on the hot summer days. My invention will make the world a better place by giving marine biologists ways to study fish easier. For example, my invention provides you with air so you can breathe under water without oxygen tanks and discover new places where fish live and help to see what is at the bottom of the ocean. My invention will make the world a better place by helping discover new things in oceans and lakes and it would also help discover new plant species in the ocean. Attachable Gills are a brilliantly ridiculous invention. My absolutely awesome-tastic invention is the Aircraft Sneakers! My invention is real, actual sneakers that fly! You get to choose if you want Converse All Star sneakers OR DC sneakers OR Etnies sneakers! They are made with super special, fantastic hovers in their heals! They also have super fancy built-in GPS navigation! This invention will make the world a happier place because it also has a built-in heater that warms you up head-to-toe during the cold and icy winter months. It also serves you your most favorite foods! No need to do any be-boop-bop-beep stuff to it. It knows everything about everybody! They are WAY, WAY, WAY better than any old sneaker. This invention will make the world a better place because it doesn’t run on gas or diesel or any other nasty polluting gases! Aircraft Sneakers are eco-friendly! It runs on broccoli or any other disgusting veggies you hate! These are the best sneakers ever because they run on failed tests you just can’t stand looking at! Any subject. Math, Reading, etc.! My awesome, most brilliantly ridiculous invention is the Aircraft Sneakers! Are you tired of doing surprisingly senseless schoolwork, time-wrenching chores, and watching sarcastically lame TV shows? Well no more with the stupendous, scintillating Robo You. This invention can save you from barbaric bullies, taunting teachers, and annoying associates. It even has master food making attachments. One of its many fascinating features is turning into an aerodynamic plane that can do loops. The Robo You can also jump tremendously high. The Robo You is you by day and an amazing fantastic superhero by night. It can stop horrible pollution, horrific robberies, flaming fires before they happen, and gigantic explosions. It can also save petrified puppies and horrified kittens that are in powerful peril. The Robo You can bore evil polluters to sleep. The Robo You has superb settings that can make Robo You stop growing evil at all costs. It can kick bad guys butts up and down any street. It also eats pollution, which is its ultimate power source. This invention will be something that can save the world. It will give you a delicious hotdog if you want one. If you are a horrendous hacker you will be able to make your Robo You stop evil.